First Human Being Has Their DNA Manipulated To Make White Blood Cells 20 Years Younger! Elizabeth Parris, the CEO of “Bioviva” USA Inc, has become the very first human being to successfully, from a biological standpoint, reverse the age of her white blood cells, thanks to her own company’s experimental therapies. “Bioviva” utilizes intramural and extramural peer-reviewed research to create therapies for age-related diseases (Parkinson’s, Alzheimer’s, cancer, heart-disease), and now, they have reversed 20 years of ‘telomere shortening’ in a human for the first time. Telomeres are short segments of DNA that cap the ends of every chromosome and act as a protective feature against wear and tear, which occurs naturally as the human body ages. 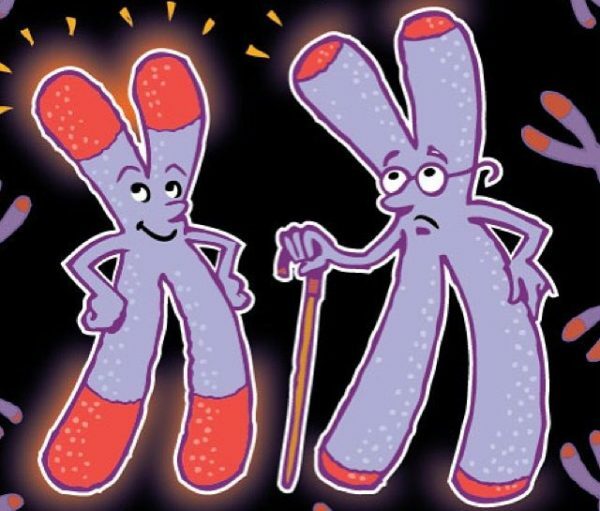 As we age, these telomeres become shorter and shorter as our cells continue to divide more and more. Eventually they become too short to protect the chromosome, which is what causes our cells to malfunction and age related diseases to start setting in. And that’s what we call aging. In September of last year, the 44 year old volunteered to partake in two of her own company’s experimental gene therapies; one intended to battle stem cell depletion, which happens when we age and leads to various age related diseases, and the other intended to protect against loss of muscle mass with age. The company will continue to monitor her blood in the months and years to come, and will be testing new gene therapies to restore age related damage. Researchers still need to determine if the success seen in leukocytes can be extended to other organs and tissues, as well as repeated in other patients. For now, this is the first and only instance of such therapy being used (and successful) on a human, and was intended to prove the safety of this technique. Long term scientific scrutiny is still necessary to say for certain whether this is a safe and viable procedure, but what’s happened so far is almost unbelievable. It’s a very promising discovery, and one that has already attracted attention from various investment and scientific communities. One example is Deep Knowledge Life Sciences (DKLS), a UK investment fund company which has already made BioViva a portfolio company of theirs. According to Parish, “the best-case scenario would be that we added 20 years of health onto the leukocytes, and the immune system might be more productive and catch more of the bad guys. But we have to wait and find out. The proof will be in the data,” she said.